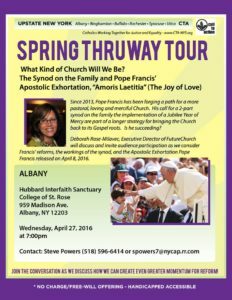 Spring 2016 Thruway Tour with Deborah Rose-Milavec, Exec. Dir. of FutureChurch, who traveled to Rome to witness Synod discussions and provide input to the participants.